I am a list maker so when I saw that a couple of my fave bloggers run a list related linky, it was a no brainer. * First of all, this is going to divide you for sure... some will think it's too soon, others will nod their head excitedly in agreement... I've started thinking about Christmas. Yep, the C word! I am in fact actually behind with my usual preparations for the festive season - I think I'd bought ALL our presents by this time last year - but I am starting to let myself look ahead to twinkling lights, scented candles and mulled wine. 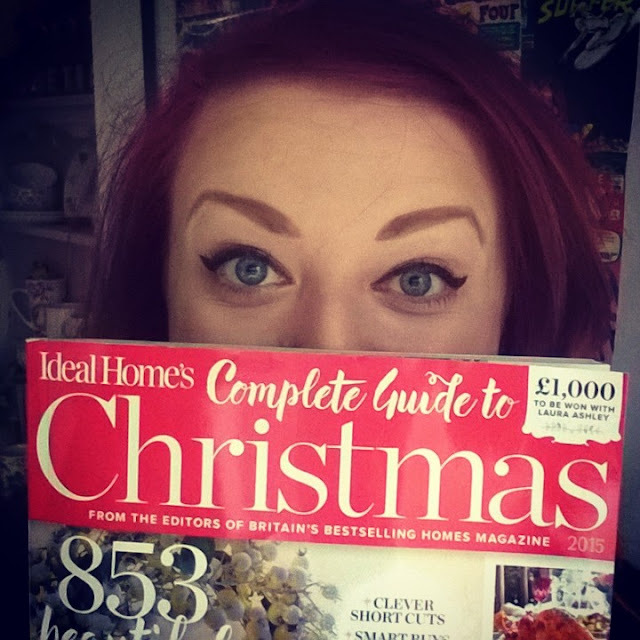 I've bought Ideal Home's Complete Guide to Christmas (usually my favourite festive magazine, although I have a whole stack of mags from the past couple of years too for ideas) and I am going to indulge in a little Christmas dreaming soon. 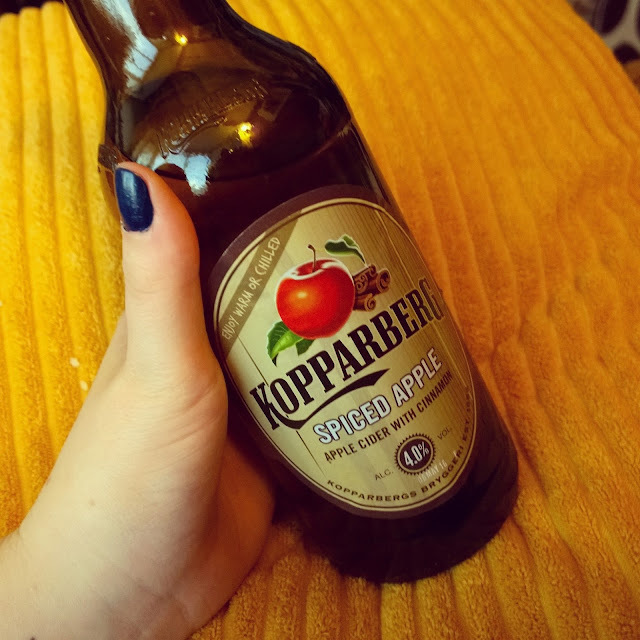 * Keeping with this theme, I've also tried this new cider from Kopparberg and it's the perfect autumnal tipple. I had it cold but you can also warm it up for a taste of the Christmas markets. 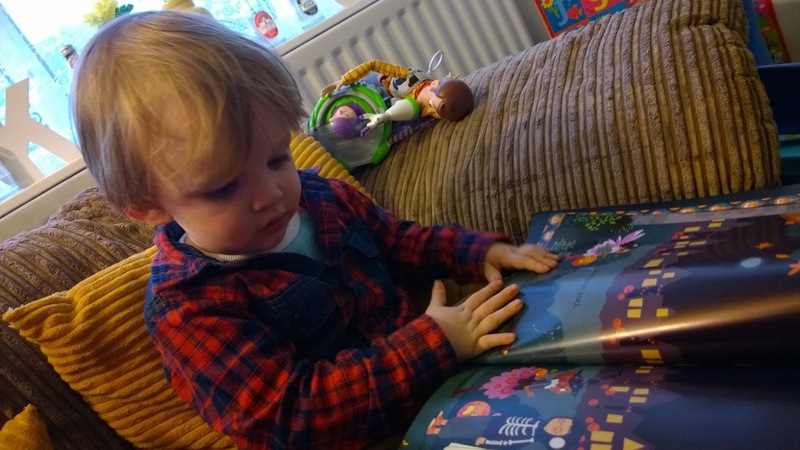 * Ethan's added Jungle Book and Lilo and Stitch to his ever-growing list of favourite films. Trying to hear him sing 'Bear Necessities' is hilarious! 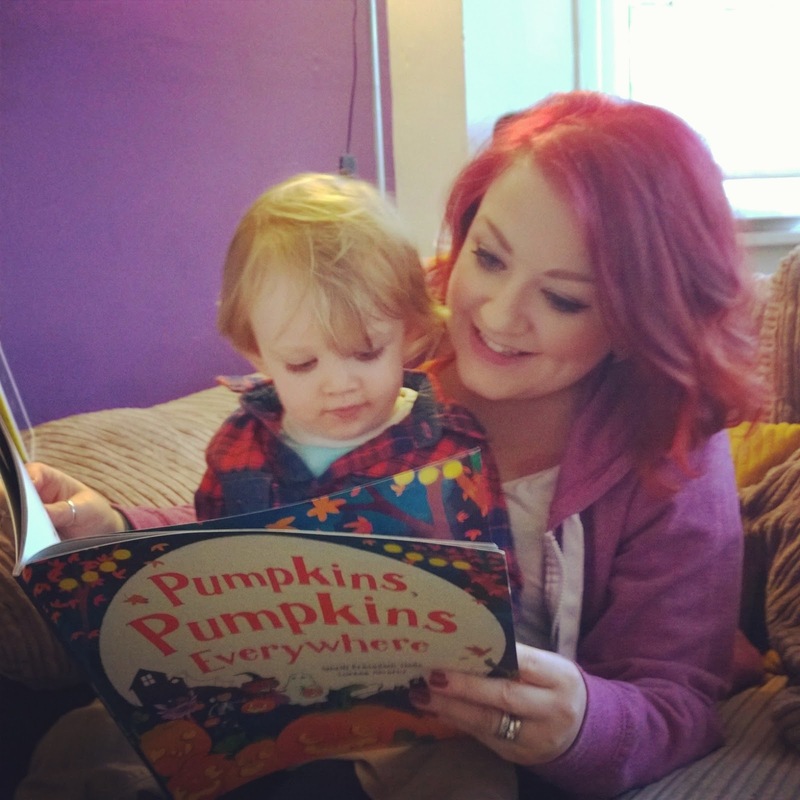 * He's also got a new fave book that's perfect for this time of year - Pumpkins, Pumpkins Everywhere (or Pancakes, Pancakes Everywhere as Ethan calls it!) from Parragon. We were sent this as part of the #BookBuddies scheme and on first sight, Ethan wanted me to read it to him SEVEN times in a row! It's a simple, nicely illustrated rhyme based book and a great addition to his library for October. * As well as a few new lipstick shades for the new season, I've also been using a new primer and foundation trio. I bought No 7's Airbrush Away primer and matching foundation (in Calico, as pale as it comes) a couple of weeks ago and really like them. The foundation feels as smooth as silk to apply and actually gives pretty good coverage. Worth testing out. * Also on a make up note, I've had a number of compliments recently on my blusher. I've been using the Maybelline Master Sculpt contour power, or Benefit's Hoola, to add some colour to my face in general, then using the Happy Light cream blush from Bourjois under the apples of my cheeks before dusting a bright pink shade from Rimmel over the top. I find this helps me get a good colour that will last, my using the cream and powder blush combo. * New bedding for the whole household this week! Ethan's a big fan of The Gruffalo and having already added the book sling and toy box to the house, we had to get the bedding too. Someone was very happy indeed! And we needed a spare duvet set and this lovely woodland themed print from Asda really caught my eye. It's so charming and for just £14 for king size, I just couldn't see any reason not to get it. Potty training, here we come?